Twin Flames are souls who have a deep connection with one another, and who light the fires of passion within each other. Often, a Twin Flame will help you to get on your spiritual path, and to remember your true mission here. When you are reunited with your Twin Flame, it feels amazing. To be in their arms, in their presence, is exhilarating, exciting, and comforting. The union of the Flames is an important part of the Global Spiritual Awakening, and we here at the Academy wish for as many to reunite as possible. It's not enough, however, to simply reunite, there are very important aspects that need to be in place for a Twin Flame relationship to reach the stages of harmony and radiance. 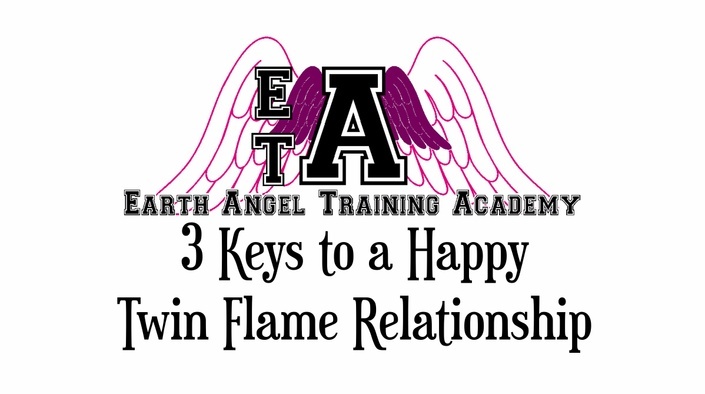 This class will give you the information you need to consciously raise the vibration of your Twin Flame union, and to have a wonderful, happy and long relationship with the soul who feels like home to you. This class is based on the Earth Angel Series by Michelle Gordon. And is not to be used as psychological, medical, legal or professional advice, it is for entertainment and enlightenment.